There once was a time, in the demands for office equipment, when inkjet printers were insurmountably the first choice for quality print production and affordability. It was not that laser printers were sub-par products, but rather they were reserved for pockets deep enough to handle their exorbitant price tag. This situation is not the case nowadays. Not only are color laser printers more cost-efficient, but the printer technology has improved. Laser printers along with LED printers still rank among the top-rated printers for quality. It is worth review and research when selecting the right color printer because it can make a substantial difference in the amount of time spent on printing materials and the running costs of production. 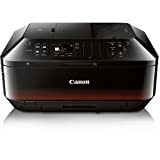 This review is a list of the top-rated color laser, LED and inkjet printers available for personal or home office use. 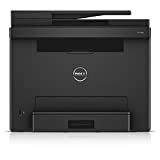 The Dell E525W is a multifunction printer (MFP) that can meet everyday printing needs of a small home office with medium to moderately heavy needs. The interface is multifaceted with both a high contrast LCD screen and 35-push button control board. The printer speed for both monochrome and color prints is 18 ppm. A security feature can be enabled to prevent documents from printing unless a passcode is entered to authorize the job. The printer supports AirPrint and Google Cloud Print. Remote printing is possible through a mobile app installed on a smartphone or tablet. Compact design. Ethernet, Wi-Fi and Wi-Fi Direct connectivity. Cloud-ready access. Expensive ink cartridges. Low paper capacity. 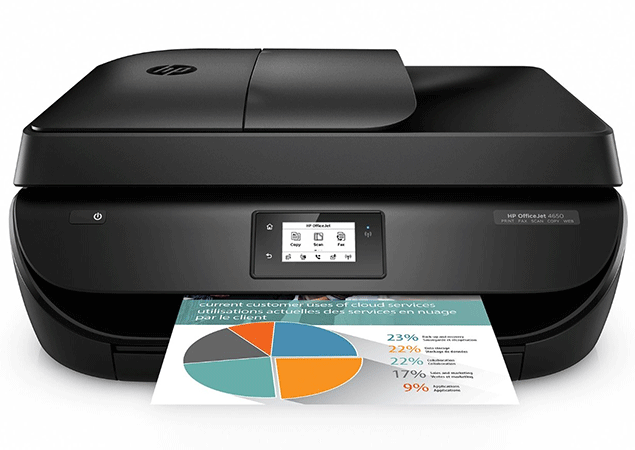 The HP Color LaserJet Pro is a modestly priced, All-in-One printer that allows for printing, scanning, copying and faxing. Its best performance capacity is within the expectations of light-duty printing. 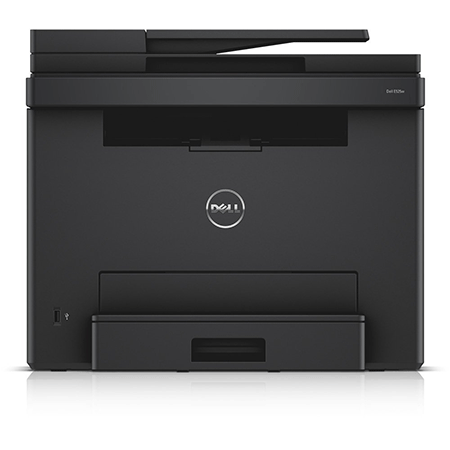 This MFP can function adequately for personal use or production in a micro-office. The printer does not require much space; it can share a desk comfortably. The printer has a 35-page ADF for multiple page scanning, and it can print two-sided documents as a single-sided page. Small size. Low cost. Wi-Fi and cloud-based mobile printing. Little input and output paper capacity. No ADF. High running costs. 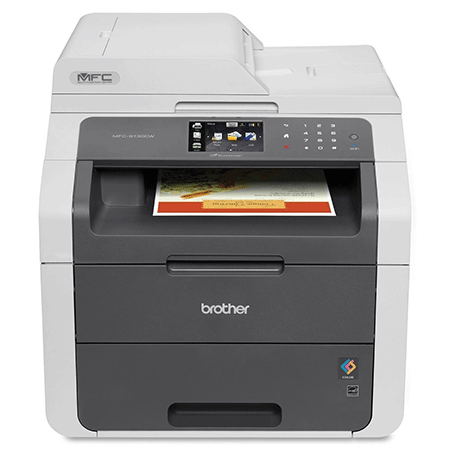 The Brother Printer MFC-L8900CDW color laser printer has heavy-duty performance yield. This printer offers fast productivity at 33 ppm for both monochrome and color alike, 250-sheet input capacity and 50-sheet output which makes the costs low for running. Mobile device printing and scanning is available through the use of mobile platforms such as AirPrint or Google Cloud Print. 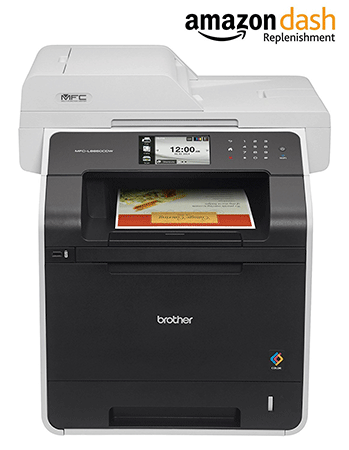 Wi-Fi Direct, NFC, and the Brother iPrint&Scan app offer added wireless and remote capabilities. The 70-page ADF has duplexer properties and prints both sides of a page in one pass. Standalone copier and fax. Auto duplex printing. Quick. Below average photo and graphic output. 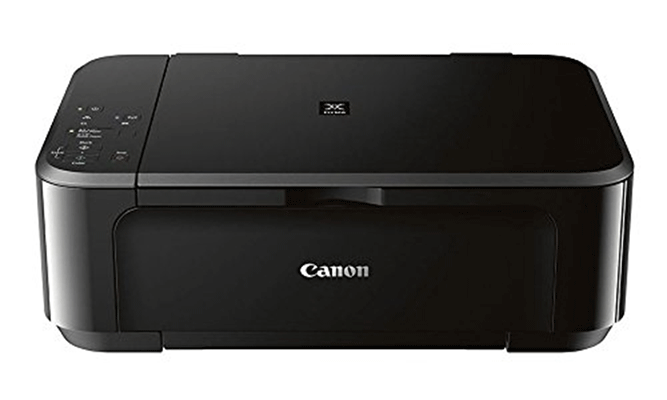 The Canon Pixma MG6320 is a sleek, multifunction printer that prints, copies, and scans. This printer is optimal for light-duty print demands — making the printer most suitable for personal use. With AirPrint compatibility, it also offers easy access to the Pixma Cloud Link for printing pictures from photo albums stored in online accounts. 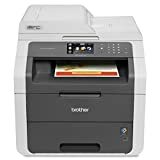 Additionally, the printer works well with Google Cloud Print to remotely send print jobs to the printer from an Internet-connected PC, tablet or smartphone. The machine is managed manually via an LCD touchscreen panel. Ethernet and Wi-Fi connectivity. Works across cloud platforms. Remote mobile printing. Print quality about average. No USB thumb drive port. Slow. Running costs high. The Brother MFC-9130CW offers features and productivity yields of a large scale at an affordable price. LED lights are used to replace standard lasers for this model, providing professional, lab-quality print pages. The compact printer allows users to print, copy, scan and fax. It can act as a standalone fax or PC fax. This printer has USB or Wi-Fi connectivity. Its automatic document feeder capacity is 35 sheets but with no duplexing capabilities. Decent price. High paper capacity. Below average photo quality. Lacks automatic duplexing. 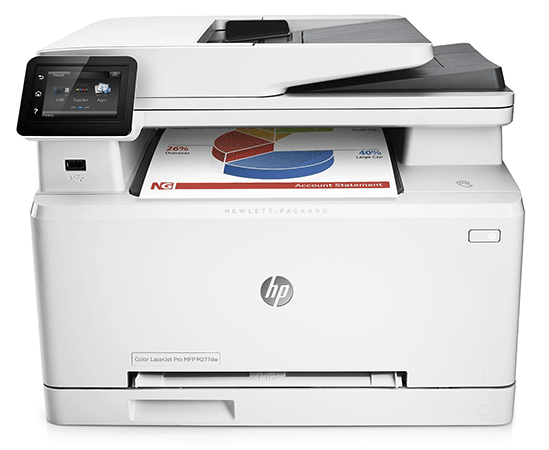 The HP Color LaserJet Pro All-in-One printer is a multifunction printer that operates fast. With its condensed size, this printer is a compact companion to micro-offices or for home use. The printer is best suited for lightweight printing demands. Connectivity is wired or wireless with Wi-Fi Direct and NFC touch-to-print technology. It has a 50-sheet ADF and an automatic duplexer for double-sided printing. Fully operational through the use of a touchscreen interface, the printer supports printing through the cloud or wirelessly with a mobile device. Fast. Good print quality. Wireless or wired connectivity. Fax driver must be downloaded for use with most Windows operating systems. 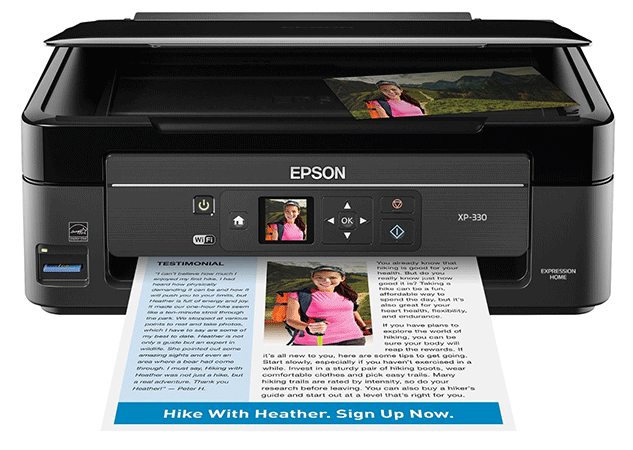 The Epson Expression Home printer is a lightweight MFP that is extremely affordable and well suited for minimal printing needs. Its mini LCD screen allows for a simple setup. 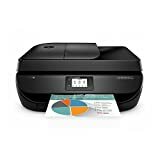 This printer has full wireless connectivity that supports mobile printing from smartphones, tablets, laptops or netbooks. Built-in photo editing tools provide red-eye removal and photo restoration among other utility features. Fade, smudge, water and scratch-resistant photocopies. Auto-duplexer. Wi-Fi and Wi-Fi Direct capabilities. USB thumb drive port for PC-free photo printing. Relatively high running costs. Slow print speeds. 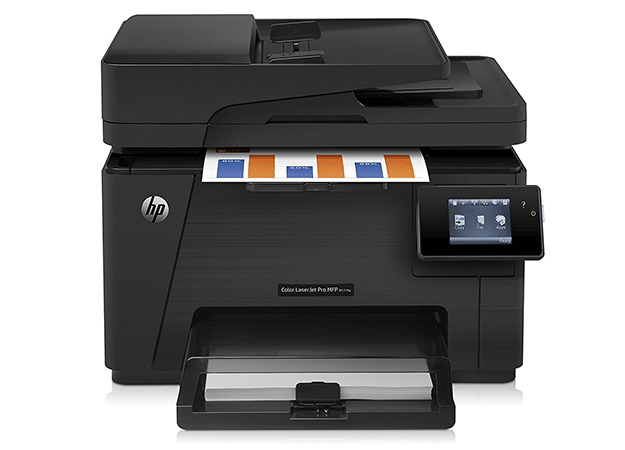 The HP OfficeJet is intended for personal or home office use with a light to medium yield printing capacity. This printer offers wireless connectivity, and its touchscreen control panel allows printing through cloud-based platforms, as well as, direct printing from a variety of websites on the screen like Forbes Daily and NBC News. HP Instant Ink is an enrollment-based bonus which allows users to select prepaid plans for ink. A predetermined number of pages get paid for at a flat rate with limited rollover possibilities for the number of unprinted pages each month. Automatic document feeder. Mobile printing. Above average photo quality. No Ethernet or USB connectivity. Sub-par text quality in industry tests. The HP Envy is most suitable for home use. It supports remote mobile printing via a tablet or smartphone using a mobile app. Photos produced by the printer are professional quality. 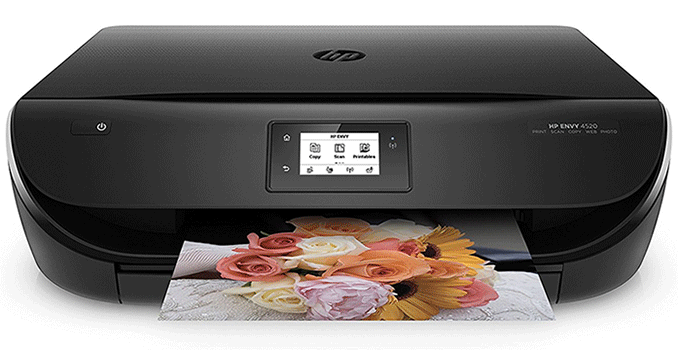 HP’s Instant Ink lowers running costs dramatically. The front-panel LCD touchscreen allows for easy access to printable calendars, coloring books, crossword puzzles and more from an array of websites using the HP apps. Being designed more so for personal use, this printer lacks a few of the standard office-centricities like faxing and an automatic document feeder. Auto duplexer. High-quality photo printing. Remote print execution. No ADF or fax capabilities. 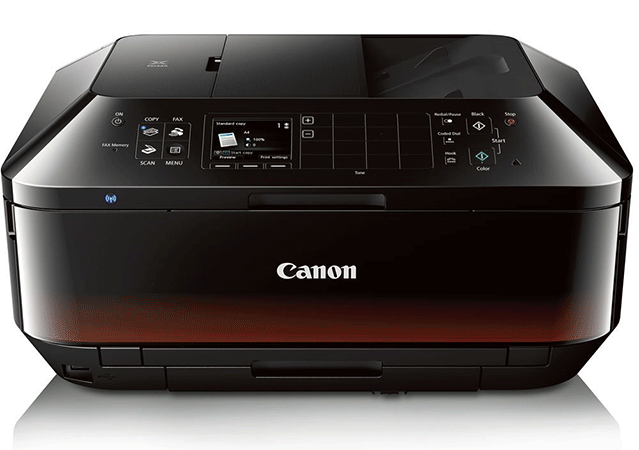 The Canon MX922 is ideal for personal use, a home office, small business or micro office. It can print on optical discs and has a separate tray for photo handling. Its auto duplexing ADF features copies double-sided documents onto either a single or two-sided page. The printer has wireless, USB or Ethernet connectivity. It supports remote mobile printing and is compatible across cloud-based platforms. Prints on optical discs. Wireless and Ethernet connectivity. Superb output quality. High page capacity. Automatic duplexing document feeder. The first of considerations before purchasing a printer is the printer’s performance. At the core, printing performance includes the machine’s print speed and maximum resolution. A unit’s “ppm” denotes the “pages per minute” that a printer can print after warm up. A printer’s resolution is measured by the dots of ink per inch (dpi) in page print — whether graphics or text. Other subcategories to consider before making a printer purchase can include convenience, connectivity, and accessibility. Does the printer support remote mobile printing? Is the printer compatible with wired or wireless connections? What about the machine’s space requirements? Can the unit fit on a desk or easily within a workspace? Additionally, it needs to be determined if printing demands are light-duty, of moderate necessity or heavy-duty. This classification plays a part in calculating the printer’s running costs, and it will also implicate if needs for more office-centric features are desirable. A printer rich in features has its benefits — like automatic cartridge re-order or wired and wireless versatility. However, whether as an investment for personal use, a home office or small business, as long as the technical specifications provide good print quality, high productivity conformant to required printing needs and minimal operating costs, then consumers will find themselves on the side of being satisfied and feeling that money was well spent post-purchase.